“Henry was sensational for our wedding at the Flour Factory. Understood the the tone of the night we wanted and played perfectly! Everyone was really impressed with his range of music. He also learnt a new song for our first dance which he nailed. Cheers Henry. Great Work! 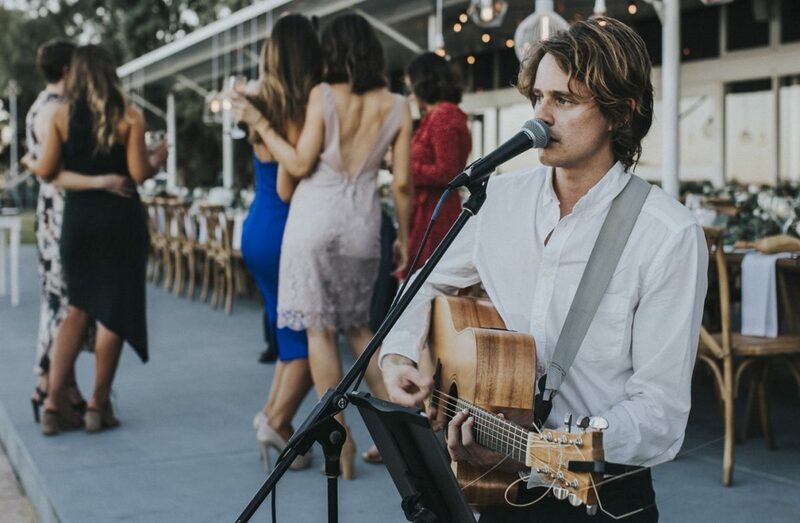 Wouldn’t hesitate in recommending Henry for future events.” – Andrew D.
“We were so lucky to have Henry play at our wedding. He created such a beautiful and intimate atmosphere during our ceremony and he was more than willing to learn new songs for us! Our guests were blown away with his talent and the incredible live music. Thanks so much Henry!” – Eloise M.
“Such an amazing voice and a great variety of music! Highly recommend for your next function!” – Andrew M.